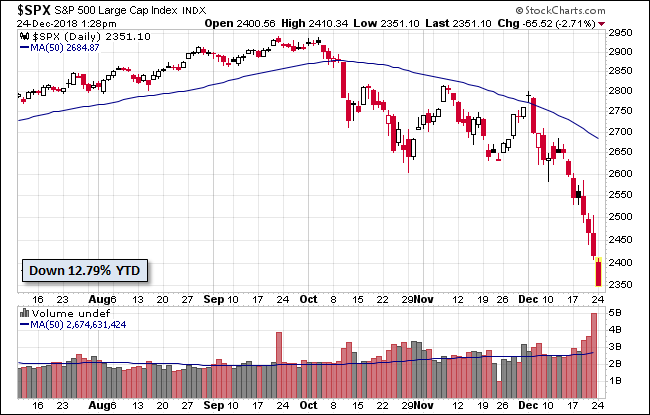 The S&P 500 closed Christmas Even with a major correction and bear market instead of a Santa Rally. 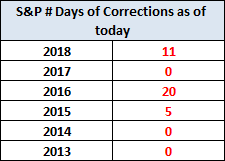 Today's close was a correction of 19.78% from the closing high. 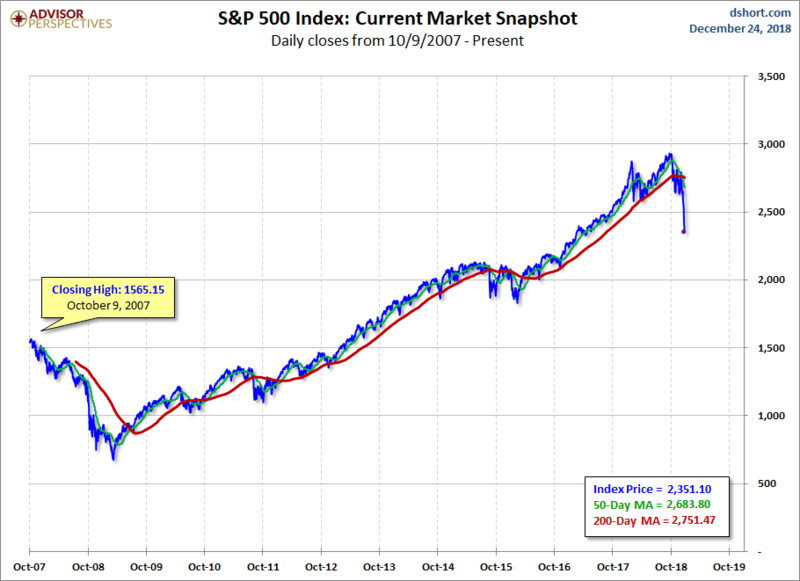 The index closed with a loss of 2.7% from yesterday and 12.79% YTD. The U.S. Treasury puts the closing yield on the 10-year note at 2.79%. 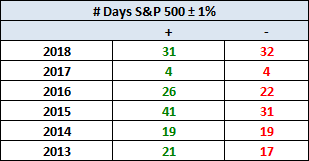 Here's a table with the number of days of a 1% or more change in either direction and the number of days of corrections (down 10% or more from the record high) going back to 2013. 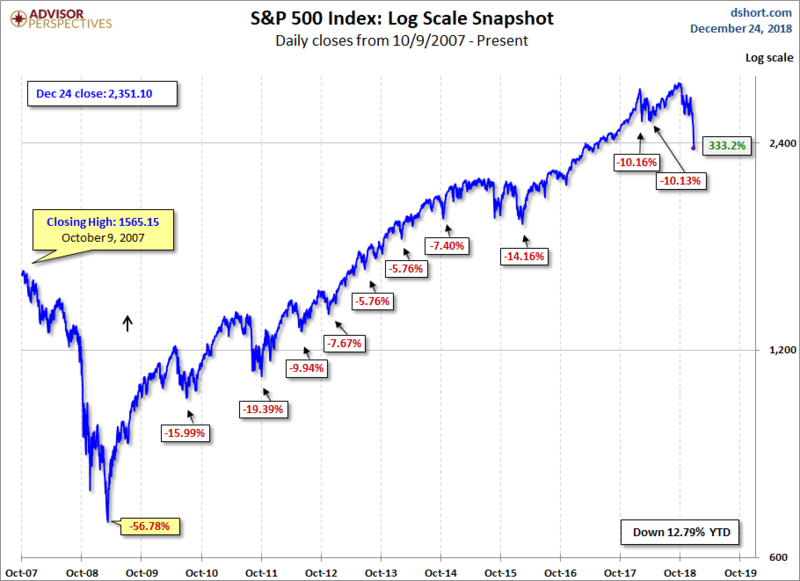 Here is a more conventional log-scale chart with drawdowns highlighted. 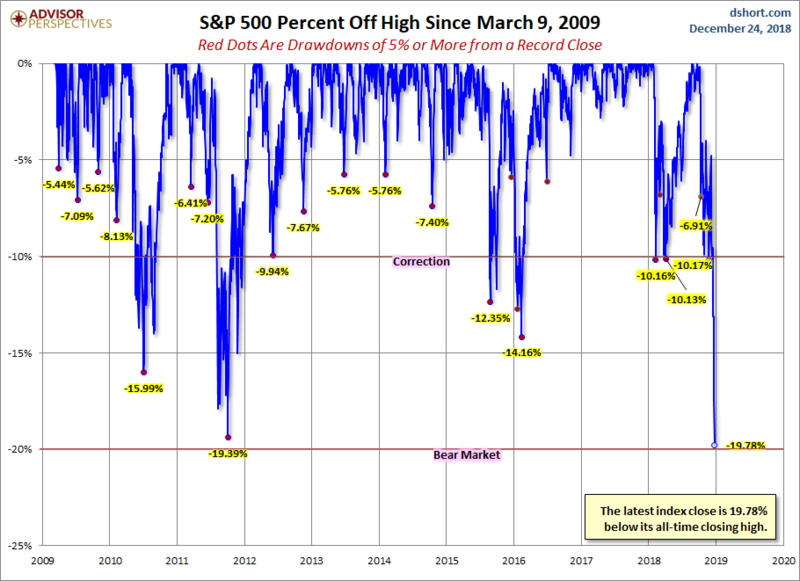 Here is a linear scale version of the same chart with the 50- and 200-day moving averages. 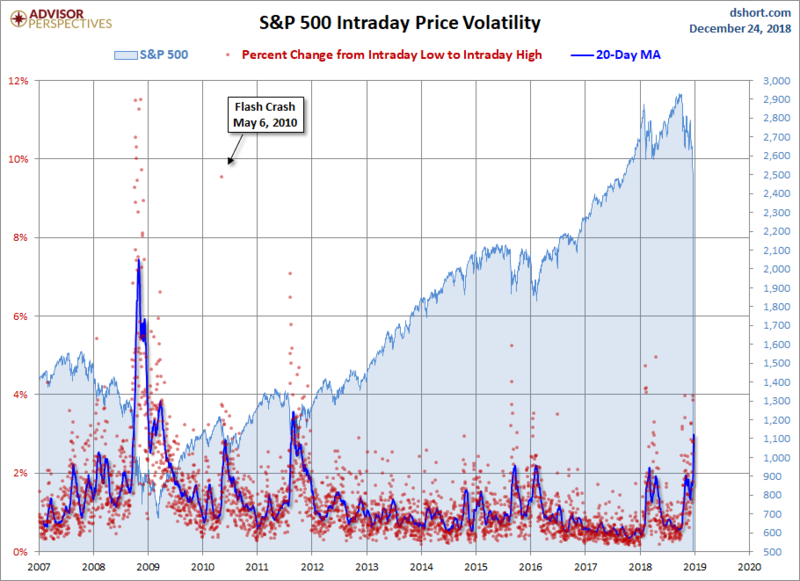 For a sense of the correlation between the closing price and intraday volatility, the chart below overlays the S&P 500 since 2007 with the intraday price range. 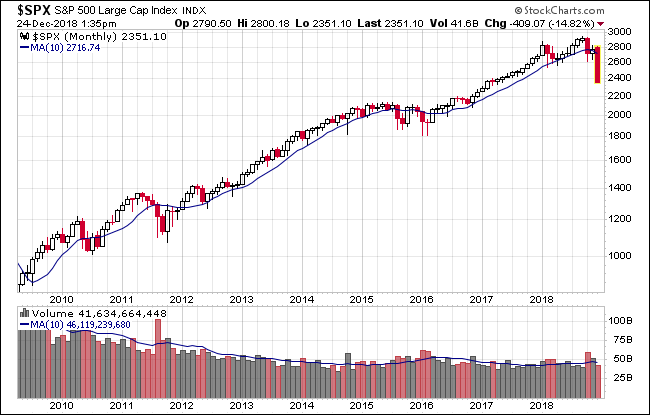 We've also included a 20-day moving average to help identify trends in volatility. 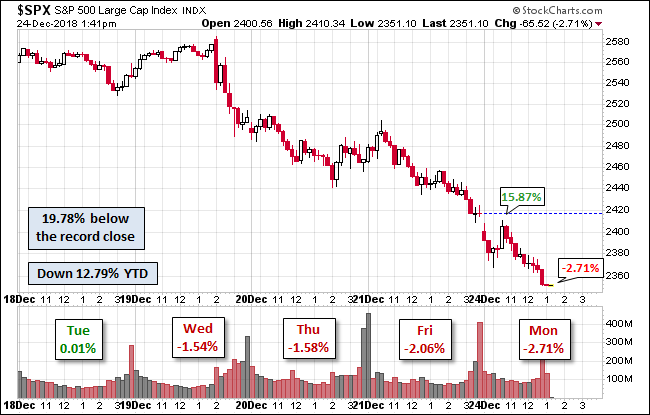 Volume was unusually high today for Christmas Eve. Too bad the holiday starts on such a sour note. Santa's rally has been replaced by JP's bag of coal.